The Wax Removal Two Colored Towel is an extra plush microfiber towel designed to help you not only remove waxes from the surface of your paint, but tackle other detailing steps with ease. When removing a wax, any high quality microfiber towel will perform fine, but something like this Wax Removal Two Colored Towel stands out above the rest. The extra plush, long microfiber strands, safely lift and collect particles for fast and efficient cleanings. The extra thickness of this towel helps it delicately remove not only excess wax, but glazes, sealants, and quick detailers from your painted surfaces. You can also use this towel on your navigation screens, coated hardwood, plastics, glass, around the house and so much more. For some added safety, you will find the super soft silk edging on the towel. This helps protect from adding in any unwanted imperfections during use, along with helping to extend the durability of the towel. One side is gray and the other is a blue. This allows you to help differentiate what side of the towel you have already used, so you always know what side of the towel is fresh and ready for use. 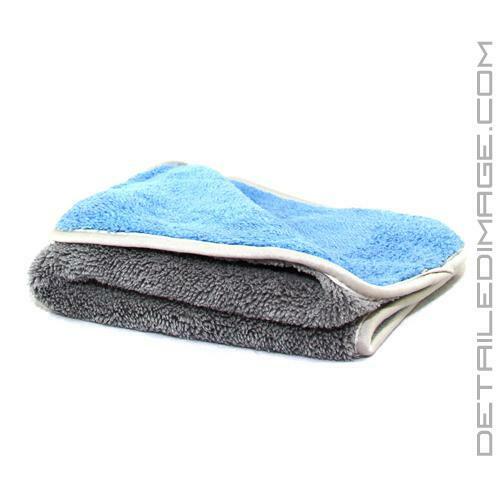 Grab the Wax Removal Two Colored Towel and add a premium, extra plush, towel to your microfiber collection! Excellent mf towel. Great for drying or wax/sealant removal. 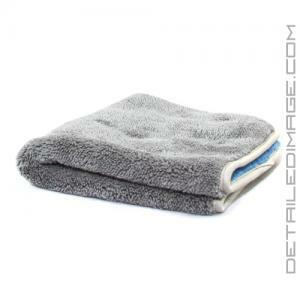 Very good towel for wax removal - used with Collinite 915 in 35 degree weather. Removed excess wax using only very light pressure, and buffed up shine very nicely. Will definitely buy again.